Mica Specialties is your Local SEO agency located in Panama City Beach, Florida. Local SEO refers to purposeful actions that your business can take to market your local business online. By doing so, you will present your products and services to prospective local customers in the moment they are online looking for similar products or services. Your business needs to show up online in the local SERPs (search engine result pages) with Google Search and Google Maps for those relevant searches. This is where Local SEO kicks in. Mica Specialties is the #1 SEO agency in Panama City Beach and we can get you online and bring more customers to your business. We are a local company founded in 1991, with clients located around the world. We can help your business, too. Did you know that Google My Business is a free service by Google that allows every business, regardless of size, to create and maintain a presence on Google Search and Google Maps? They sure do. It's a very powerful resource for your business and you absolutely need to utilize it. 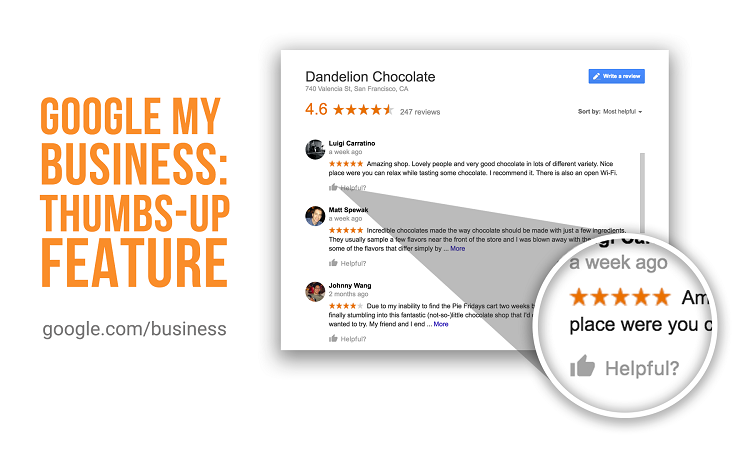 Once your business has a GMB profile, you can manage Google Reviews, add photos & videos, keep hours up-to-date and so much more. Many people do not realize that the GMB post feature is like super powers for your Local SEO. Mica Specialties can handle all of the Google My Business actions for you and take your business online with Google today. When it comes to Local SEO and Google My Business; quality, credibility, and reliability counts. Mica Specialties is owned & operated by, James Clemens, a trusted Google Designated Product Expert for Google My Business and a Google Trusted Verifier. And Mica Specialties is the only agency in Bay County, Florida, to be an official city partner to the Google Get Your Business Online (GYBO) program, which is focused on helping small businesses grow big through smart online actions. That's truly the power you need! James Clemens, has been highly involved in SEO since the mid 1990's and his passion for helping small businesses succeed online is even stronger today. James is well-known in the Panama City Beach business community as a person of quality that gives continually. And he is the Co-Chair for the Panama City Beach Chamber of Commerce Ambassadors for 2019, which is just another testament to his dedication to business success. In closing, we would like to add that Local SEO has many pieces and puzzles to knit together carefully. And whoever you have doing it needs to a professional. Insist on visiting their agency and seeing their work environment to get a clear understanding of their creativity and credibility. Mica Specialties is located in the Village at Grand Panama, just steps from the sugar white sands of the World's Most Beautiful Beaches, Panama City Beach, Florida! Let's get started on powering your business with a free Local SEO assessment today. Search Engine Optimization Powers Your Company. As techies that live & dream general online marketing practices like SEO and SEM, we are surprised how often we hear of one or the other (not both) being discussed. As a digital company fully connected to the fast moving world of digital marketing and search engine marketing, we learned many years ago how one most certainly affects the other. As you grow your online presence, you are going to interact with many proclaimed experts in the field of search engine optimization. Some of them could be, but many of them are going to be scams, pop-up agencies or boiler room giants that can absolutely destroy your online brand and /or, at the very worse, get your website de-indexed from the major search engine providers. You must maintain a clear & concise understanding of who you are allowing to alter your web code, and to verify their techniques for better optimization are within the allowable tactics of the search engine. They each have a best practices and an absolute no-no list, too. We suggest you focus on building organic traffic from the search engines that are enhanced with paid ads. We also recommend that your manager for any online marketing campaigns, your website designer and your search engine optimization company all communicate openly and sync certain attributes of their actions to achieve the best overall online performance for you. No matter what, SEO comes down to: 1) providing a great user experience for your visitors, 2) offering credible & relevant content, and 3) working with the search engines in structuring your website to best work for them. If we look at just this basic level of information on search engine optimization and online marketing, it is easy to see how connected these two systems are. You must present yourself digitally with current & correct information on your specific field by presenting a modern, unique experience for your website visitors, which will bring more results with search engine placements, which requires lots of credible, quality content on your website's pages. Yes, the content of your webpages needs to be aligned with your product and services you provide, and your ads need to be aligned with the content of your website. Everything ties together. Website. Content. Optimization. Marketing. Engagement. Sales. Happy Customers. Our pledge has always been to never use unethical techniques or practices to give you short term, false results. We will not use click fraud tactics to hype your reports. We will not post a link to our site at your site's footer to gain SEO benefits from your web presence. We will stay hidden while we put you and your brand front & center. We will not work for your competitors. And we certainly will not share your trade secrets or personal info with anyone. Mica Specialties of Panama City, Florida has been deep in the inner-workings of the internet since 1996; dreaming up graphics for digital marketing since 2000. James Clemens is a 3rd generation product designer with strong expertise in brand building and can help you get seen online through best practices & intelligent design principles. Contact Us for a free consultation today.